Dallas startup Mizzen + Main has been making moves with dress shirts constructed from performance materials rather than traditional cotton. 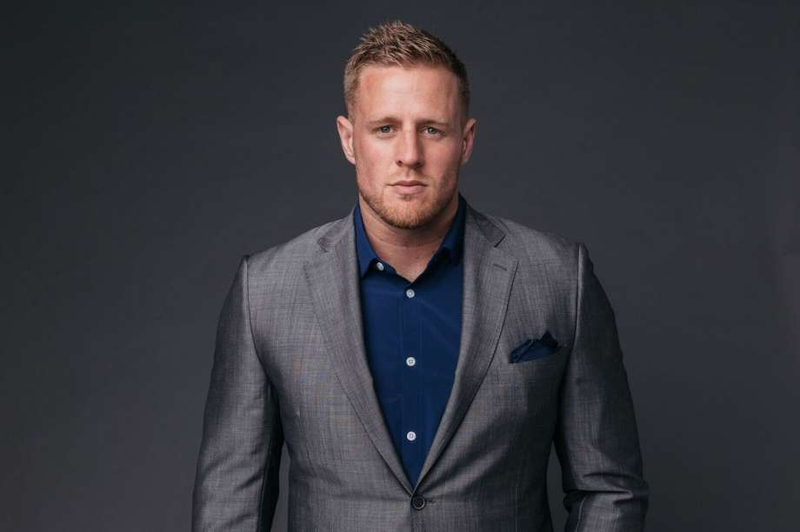 Now, they’ve joined forces with J.J. Watt, the Houston Texans defensive end who’s got some moves of his own. We just didn’t think they were this sartorial in nature. But, yes indeed, they are. Launched in 2012, Mizzen + Main specializes in clothes — mainly shirts, chinos, and sweaters — made from manmade materials like nylon, lycra, and polyester that don’t require ironing or dry cleaning. Not the kind of guy to sit on the sidelines, Watt went from Mizzen + Main’s brand ambassador to working with the company over a six-month period on a collection that includes eight pieces ranging from polos to dress shirts, all in a bunch of snappy patterns and colors (deep reds and blues, cool grey). Our personal favorite is the Bend Creek in trim (above, $145), a red and blue checked long-sleeved shirt that looks as good unbuttoned and thrown over a tee-shirt as it does dressed up with a tie and sportcoat. They’re priced from $80 for the polos to $145 for the dress shirts, and all have names that have personal significance for the Wisconsin-bred NFL star. And of course, like all the company’s products, they’re made in the US from materials that have a good bit of stretch and keep you cool and dry no matter what you’re getting up to. In the case of Watt, he’s currently preparing for the coming season and fundraising for flood relief for his adopted hometown of Houston, and the rest of South Texas that’s in the midst of devastating floods from Hurricane Harvey.